(TibetanReview.net, Nov08, 2016) – Left and pro-China leaning President Milos Zeman of the Czech Republic has demanded the resignation of the country’s Culture Minister Mr Daniel Herman for allegedly damaging the country’s interests by welcoming the Tibetan Buddhist leader, the Dalai Lama, at the Culture Ministry in Prague in Oct 2016, reported the DPA news agency Nov 6, citing news website Parlamentni listy. 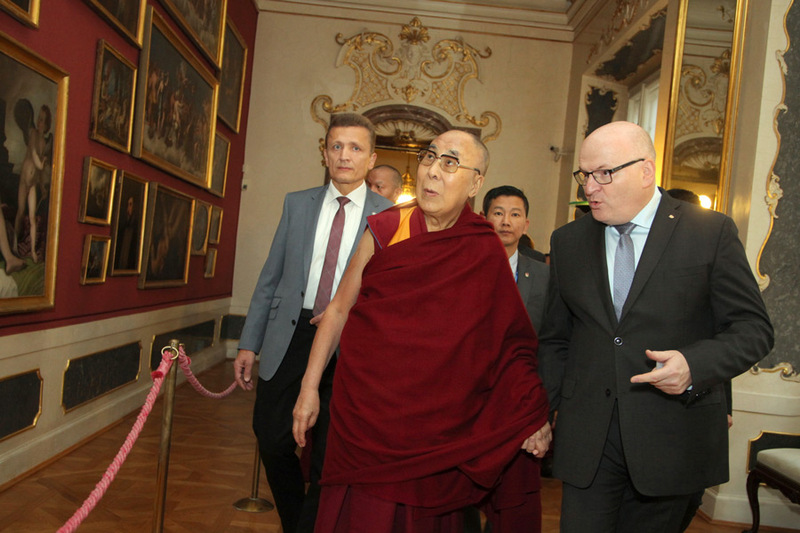 The president was also reported to be looking to have stern words with Prime Minister Bohuslav Sobotka over the Dalai Lama visit. The Dalai Lama had visited the Czech Republic to take part in the annual Forum 2000 international conference which was co-founded by the country’s late first president and Nobel Peace laureate Vaclav Havel. Havel was the first head of state to officially welcome the Dalai Lama to his country. Those who had joined Mr Harman in meeting with the Dalai Lama, which took place on Oct 18, included the country’s Deputy Prime Minister Pavel Belobradek as well as the deputy heads of the two houses of the country’s parliament. This, however, created an uproar in the country, with the president being accused of rendering the country servile to China. China accuses the Dalai Lama of being a separatist and refuses to talk with him although he only seeks autonomy under China’s existing constitution for his otherwise occupied homeland.